To all, there comes a time when the support structures that you’ve long held, which assist you in whatever your chosen endeavor might be, are taken away. Times when you have to learn to dig deeper than ever before to be able to stand on your own. After all, your parents are not going to hold your hand forever to keep you from falling down. Neither will your coach. This past Saturday night at FCF Wrestling’s Wrestling Show Live: December Rumble in Helsinki, such an example took place in the battle of Finland vs. Russia, where my protégé Mikko Maestro took on Ivan “Locomotive” Markov in one of the marquee match-ups. Ivan Markov proved hard to take down for Mikko Maestro. 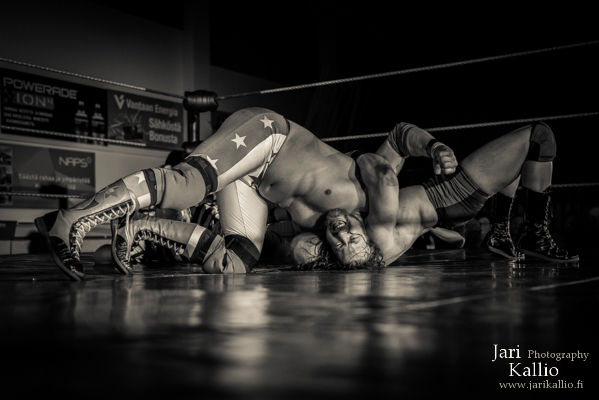 Prior to the match, Maestro had implored me to step into his corner and coach him through this, the biggest match of his five-year professional wrestling career. Maestro had long been on his own, after I took him on as my personal pet project in early 2013, and he had done pretty well for himself, especially after catching fire this year. 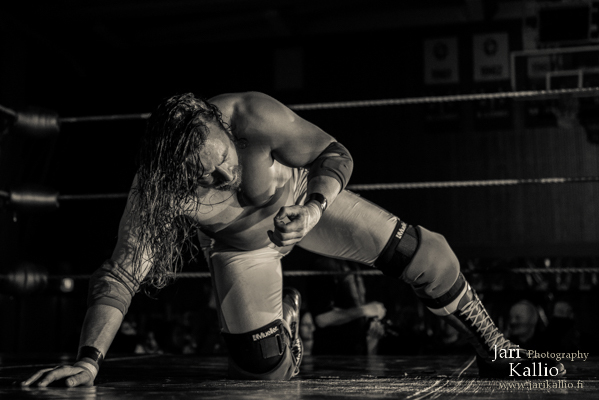 Maestro has been on a roll since defeating “Wildman” Heimo Ukonselkä at FCF’s premiere annual supershow, Talvisota X (Winter War 10) this past March. Maestro stood strong in his battles with the likes of Swedish wrestling champion Harley Rage and even managed to defeat Dutch wrestling champion Mark Kodiak on Finnish soil in September this year. Yet, as December 10, 2016 inched ever closer, Mikko Maestro understood he was up against something that he wasn’t sure he was ready for. So he enlisted his former coach, Yours Truly, to help prep him and coach him through the match he would have against Ivan Markov at WSL: December Rumble. After all, I am the man that defeated Markov in the first-ever pro wrestling match-up between Finland and Russia, which took place last year, so who better to approach for advice than myself? 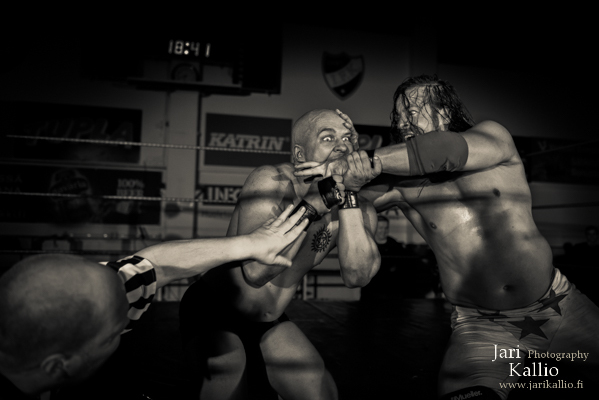 Photographer Jarmo Katila captures one of the many nasty predicaments during the match. I accepted, with one condition and one condition only. This was that Maestro leave behind his ridiculous stinkface spot, which serves absolutely no purpose other than to get a rise out of the audience when he smothers his backside into an opponents face in the ring corner. Me personally, I find this spot to be stupid beyond description and totally unnecessary, especially when it comes to winning matches and staying alive in the heat of battle against a verifiable killer like Ivan Markov. 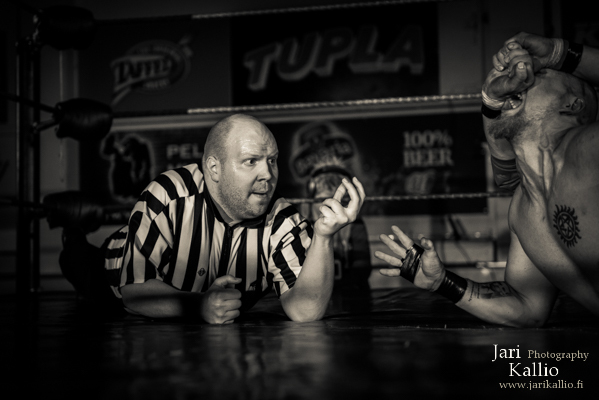 Well, in their ensuing match this past Saturday night in Helsinki, Mikko Maestro went against our set agreement, and at the opportune time, he did his stinkface anyway. He simply couldn’t be without it, and he let the audience get to his head. He wanted to play superstar and he went into business for himself. This ended up costing Mikko Maestro dearly. I grabbed his foot to get his attention at ringside, scolding him for the disrespect that he showed me, as his coach, by doing exactly the thing that we had agreed that he would not do. This was his death knell. Ivan Markov capitalized and blasted Maestro with a scintillating discus forearm blow that knocked his Finnish opposition for damn near into dreamland. One powerbomb later, Russia scored the decisive victory. I stepped into the ring and contemplated what had just happened. Of course, the people and even Maestro himself would blame me for the downfall. That is what victims do. They victimize themselves. Me personally, I see this as an action and a direct consequence. Every action bares a consequence, and Mikko Maestro’s disobedience cost him the match. Simply put, he didn’t deserve to win. Had he listened and abided by the game plan, we very well might have had a different outcome. But Mikko Maestro has to look into the mirror this time and see the truth for himself. Maestro is on his own. He errantly challenged me in his over-exuberance to a match earlier this year, after defeating Holland’s brutish Mark Kodiak. He can blame it on the heat of the moment or what have you, it doesn’t matter. The bottom line is, he got my attention. He wants to see if he can defeat his mentor and coach. I understand that, it’s part of the development of every young lion. But this time, Maestro is going to come to understand that he is still not ready to make good against a tried and true veteran like myself, because simply… he is not good enough yet. Talvisota XI on February 18, 2017 at the Nosturi club in Helsinki will be the day when Mikko Maestro has his date with destiny. This coming Saturday night in Helsinki, Finland, FCF Wrestling celebrates the eighth annual installment of Winter War, Talvisota VIII, which will be held at Sokos Hotel Presidentti. Talvisota VIII is a monumental card, headlined by FCF champion Tuho Torvinen defending his prestigious title against the challenge of “Wildman” Heimo Ukonselkä and Finland’s very first Stretcher Match, featuring myself against the villainous Valentine. 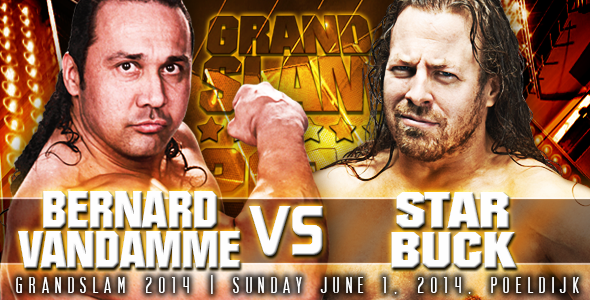 Now, personally speaking, I have long-awaited this Stretcher Match against Valentine. In fact, I was the one who initially demanded that the match take place, due to the fact that Valentine assaulted my wife almost one year ago in March 2013. I certainly cannot live that moment down, and the scars still remain. The fact that Valentine did not only assault my wife one single time, but repeated his cowardly act twice thereafter, is something that screams for retribution. No man on this Earth worth their manhood and weight would opt to sit idly and do nothing, as their woman becomes the target of an attack. For this sin, Valentine MUST pay. Talvisota VIII and the Stretcher Match that he and I will do battle in is the judgement that is due to him, and I will be the judge, jury and executioner on the night of March 8 in Helsinki when the bell rings. One of us will be carried out of that ring, laid out on a stretcher, and that means punishment in capitals! Not only did Valentine finally “man-up” (and in his case, I use the term “man” very loosely) and accept my Stretcher Match challenge for Talvisota VIII, where I will openly put my BWA Catchweight title on the line also, but he also presented his own demand: that I put my wife’s career as my wrestling valet on the line in this match also. Now my wife, Diana, or Miss D as she is known in wrestling circles, has certainly done nothing to provoke the kinds of attacks that she has endured, nor should she suffer the consequences of collateral damage in the issue between Valentine and myself. Yet, it has come down to this. I am so ready to beat Valentine into oblivion, that I accept his additional demand and stipulation regarding putting my wife’s career on the line at Talvisota VIII. I am going to make him rue the day that he instigated what he has done to my wife. This coming Saturday, no wrestling fan in Finland should miss the utter destruction of Valentine that I will personally deal out in Helsinki at the biggest wrestling card of the year in this country. As far as I am concerned, this issue ends on March 8.